Life always does that. It sneaks up on you. You can make as many resolutions as you want. You can build up walls to keep things out. You can send your heart and effort in hopes of bringing in the finest of life’s treasures. But life is clever. It is brilliant, but it is clever. It has a mind of its own. Whether you choose to laugh freely along with its jokes, or be insulted and pout with your top lip against the tip of your nose, it tumbles, stumbles, and rumbles on. There are things, just ordinary, small things that make frigid hands a little warmer, tight eyebrows a little looser, and the lazy afternoon sun a little cozier. This hot cocoa doesn’t rely on cream to give it creaminess. Instead, it’s the oats that do most of the magic here to make a silky smooth, creamy, and rich hot chocolate that’s borderline unsweetened and intensely spiced. But, my favourite part is still, after at least a dozen of these, the thick froth cap. To make the hot cocoa, place all ingredients in the Vitamix. Blend on maximum until steaming and piping hot. Pour into your favourite roll-up-on-a-couch-with-a-book mug and sip away! If you don’t have a Vitamix, I totally understand, I was there once too. Just combine all the ingredients in a saucepan and simmer until the oats have been cooked out. Transfer the mixture to your blender and blend until smooth. Serve it up all the same. 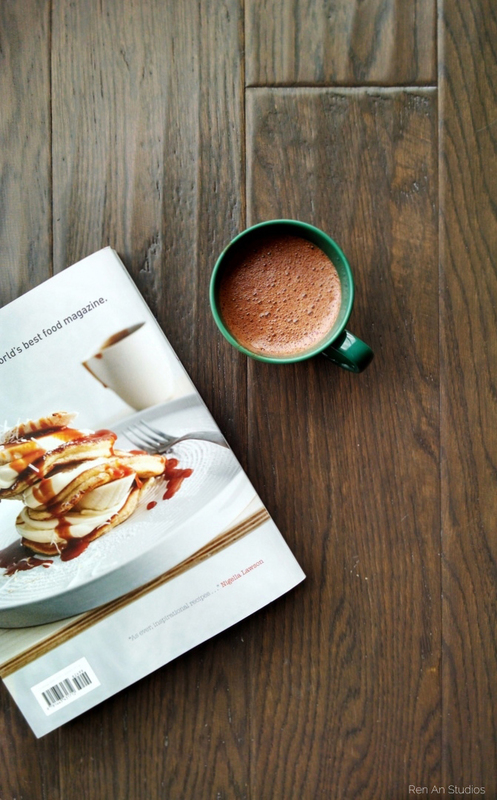 This hot chocolate definitely looks so delicious.. beautifully written post too. Definitely a recipe I can see myself recreating, thanks for sharing it. Thanks Thalia, I hope you will enjoy the hot chocolate as much as I did! Thanks Kristine! I’m glad you enjoyed the posts 🙂 feel free to let me know if you have any questions!